Volunteers of America Upstate New York (VOA) joined with Rochester’s first responders to hold a five-year reunion event for Camp HEROES campers last week to celebrate the progress made since the camp opened in 2014. 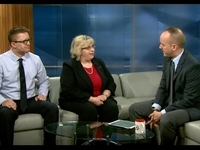 Rob Stedman, VP of Services for Children and Families, and Valerie Hoak, Director of Development, went on "Rochester In Focus" on News 10NBC to discuss our Children's Center, our Guest House Family Shelter and our upcoming Mother's Day event for seniors "I Remember Mama." Video: VOA Discusses Our Programming on Good Day Rochester. 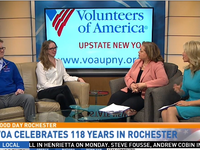 Volunteers of America talks to Good Day Rochester about everything that we do for the community, in celebration of 118 years of service in Rochester. 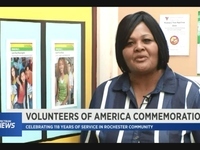 Volunteers of America in Upstate New York commemorates 118 years of service in the Rochester community. 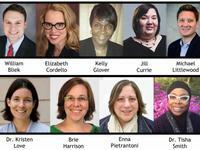 A list of VOA's new board members who will help with their mission to empower people to rise out of poverty, move toward self-reliance, and reach their full potential. Volunteers of America is one of the Rochester charities to benefit from the annual school-wide “Mix It Up and Make a Difference” donation drive at Bay Trail Middle School in Penfield. In addition to donating non-perishable items for residents of VOA’s Foundation House, students crowded around tables set up in the cafeteria to make Thanksgiving and Christmas cards for the residents of Volunteers of America’s housing program. 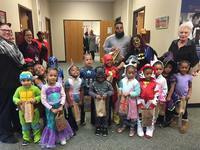 More than 300 preschoolers from Volunteers of America’s Children’s Center went to visit the staff at Jordan Health, VOA’s neighbor on Lake Avenue, for some Halloween morning trick or treating. 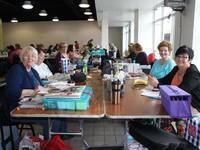 Since 2011 the Paper Craft and Crop has been raising funds for non-profits in Rochester with an all-day scrapbooking event open to the community. This year, the Paper Craft and Crop is helping out Volunteers of America Upstate New York by raising money for their programming. 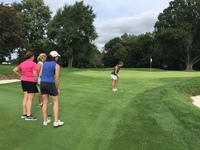 Volunteers of America Upstate New York will be holding their 16th annual Golf Tournament at the Irondequoit Country Club on Monday, September 17. All proceeds for this event will go towards Volunteers of America’s programs. 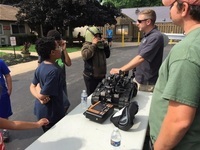 Volunteers of America Upstate New York recently partnered with local first responders to host the fourth annual Camp HEROES, a summer camp for underprivileged youth in Rochester.